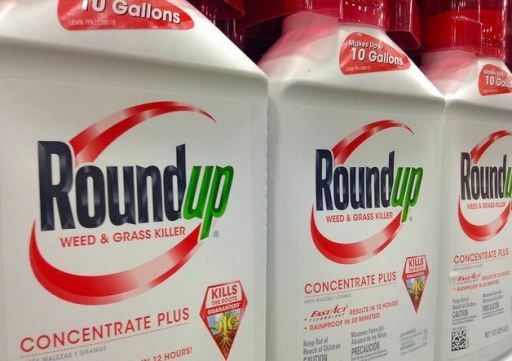 SAN FRANCISCO (CN) – In a pair of documents filed late Tuesday, Bayer subsidiary Monsanto asked a California judge to overturn a $289 million jury award to a San Francisco Bay Area man because there is not enough evidence to support the man’s claims its Roundup weed killer caused his terminal lymphoma and his lawyers manipulated the jury. Monsanto asked San Francisco Superior Court Judge Suzanne Ramos Bolanos to either overturn the August verdict, order a new trial or reduce damages, pointing in part to “flagrant misconduct in front of the jury” by Brent Wisner, a Baum Hedlund Aristei Goldman attorney representing plaintiff Dewayne Johnson. According to Monsanto, Wisner “leveraged” an evidentiary ruling by Bolanos to encourage the jury to speculate on “the truth” of a 2016 report by the U.S. Environmental Protection Agency finding no link between Roundup’s active ingredient glyphosate and cancer. He told the jury the ruling meant “you cannot believe the truth of the EPA document” supporting Monsanto’s position, but that they could “believe the truth of the statements” in a 2015 assessment by the World Health Organization’s cancer agency that glyphosate probably does cause cancer. Wisner also “intentionally undermined the court’s evidentiary rulings and elicited inadmissible evidence,” including repeated comparisons between Monsanto and tobacco companies. He ignored an admonition by Bolanos during trial testimony to stop referencing tobacco companies, again making the comparison in closing arguments, Monsanto says. “By ignoring instructions from the bench, plaintiff’s counsel modeled for the jury that they, too, could ignore the court’s instructions,” wrote Sandra Edwards, Monsanto’s attorney with Farella Braun & Martel, in the request for a new trial. “Monsanto’s renewed attempt to overturn the verdict is meritless. Raising the same arguments the court already rejected, this motion is nothing more than a reflection of Monsanto’s, and now Bayer’s, refusal to take responsibility for causing Mr. Johnson’s cancer,” the firm said in its statement. “Injecting this meritless delay is simply unconscionable and should inspire those concerned with public health to be outraged. We are. Although U.S. and European regulators have concluded glyphosate is safe, the World Health Organization’s International Agency for Research on Cancer (IARC) classified it in 2015 as a probable human carcinogen, triggering thousands of lawsuits against Monsanto in the United States including Johnson’s. His lawyers argued during a bruising four-week trial that Monsanto knew for decades Roundup is carcinogenic but didn’t include a cancer warning label or instruct users to wear protective clothing for fear of disrupting its $6.6 billion global business. Monsanto, meanwhile, insists Roundup is safe. It argued the herbicide could not have caused Johnson’s non-Hodgkin lymphoma because the cancer takes nearly three years to develop, and Johnson used Roundup for just one summer for his job as a school groundskeeper before developing symptoms the following fall. Turning to the science, Edwards wrote in a second document filed Tuesday that Johnson’s evidence failed to meet the threshold required under California law to prove Roundup caused his cancer. The parties clashed repeatedly over a human study published in 2018 by the National Cancer Institute looking at the long-term exposure to pesticides of about 54,000 farmers and other pesticide users. The ongoing study has twice found no association between glyphosate use and non-Hodgkin lymphoma, and even found that Roundup was “slightly inversely correlated” with the illness. Monsanto says the study is the best of its kind due to its size and comprehensiveness. But Johnson’s experts slammed its use of a statistical tool called imputation which they say created a 20 percent error in the results. Edwards also attacked mouse studies linking glyphosate exposure and malignant kidney tumors and lymphomas. She argued Johnson’s experts failed to extrapolate the results to non-Hodgkin lymphoma in humans, a requirement for proving causation under California law. “Without this evidence, the jury was improperly allowed to make its own extrapolation and fill in the missing link to causation that plaintiff failed to provide,” she wrote. Whether Bolanos will overturn the verdict or reduce the punitive damages award is an open question. At trial, she grappled with whether to send the issue of punitive damages to the jury, calling the evidence “thin.” Ultimately, however, she found the evidence “just barely meets the threshold” to pass it to the jury. Monsanto insists the $250 million punitive damages award – the largest in California history, if it survives – can’t be justified. Given the EPA and European regulators have pronounced the product safe, the company says, Johnson failed to prove Monsanto knew or should have known Roundup could cause non-Hodgkin lymphoma but covered it up. A hearing on Monsanto’s motions for relief is scheduled for Oct. 10 in San Francisco.